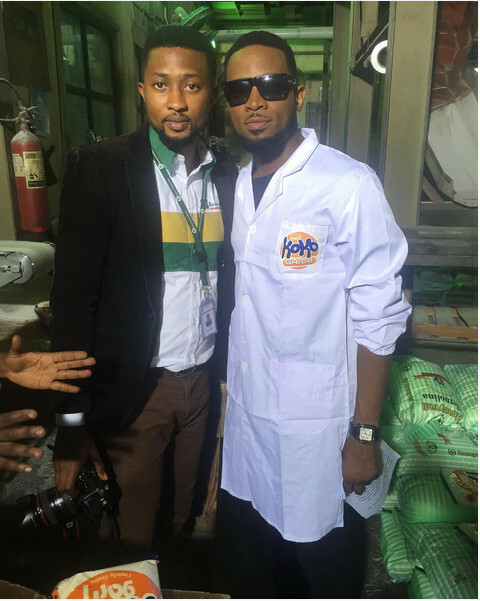 D’banj is working hard to make his 10th year anniversary the best it can be. 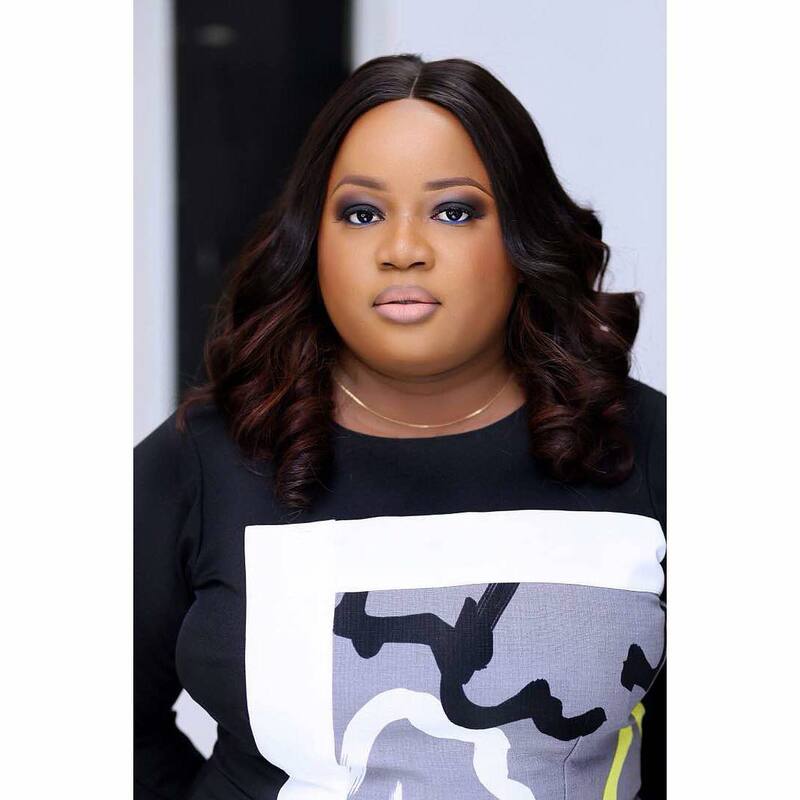 The music star and entertainer is currently filming a TV commercial for the Bank of Industry’s CAP Fund with Fade and Sesan Ogunro’s production company called The Film Factory. 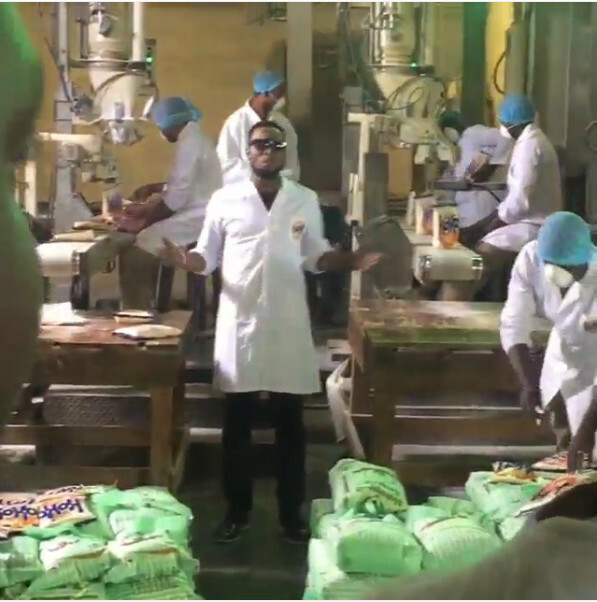 In the commercial D’banj can be seen talking about his ‘Koko Garri’ while asking people to get informed about the CAP (Cottage Agro Processing) Fund. 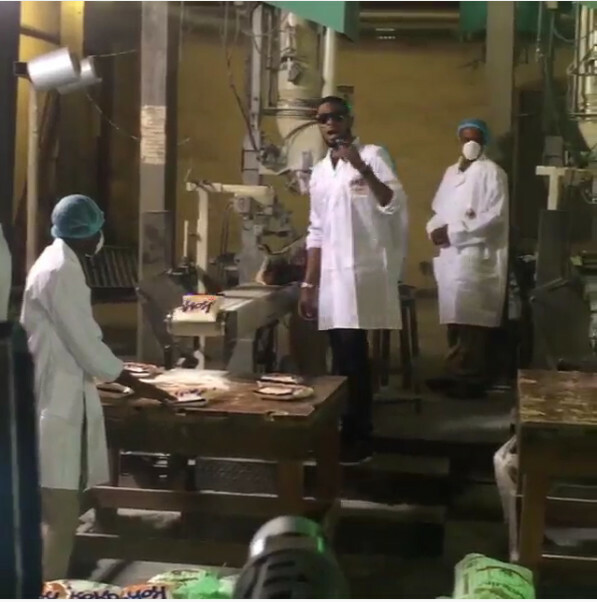 See D’banj in action below. who is deceiving who? 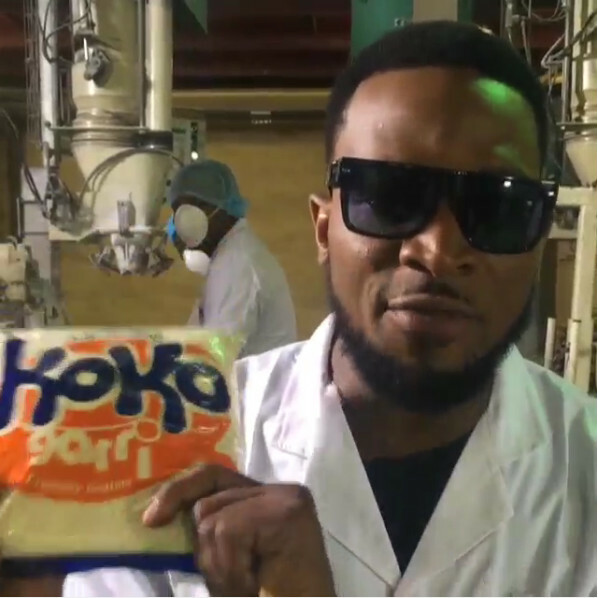 no be honeywell semolina dey dem back…..so honeywell don dey do koko garri, this koko garri thingy na scam. y r u hatin on DBANJ? tell me why. what has he done 2 u. hav u met him b4? @truth, contrary to your name, you speak lies, what valid evidence do you have that koko garri is a scam?? 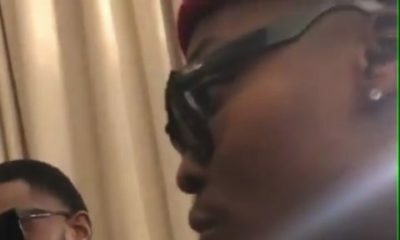 ?so you’ve obviously been sleeping or you are not just up to date, everyone knows Dbanj has been involved in Agriculture, so if you want to know if koko garri is real or not, go to Ebeano Supermarket and some other supermarkets, you’ll find koko garri clearly there ok? do your research instead of badmouthing someone else’s business. CHEI!!! It is advisable for them to ensure that all the Honeywell bags are removed o, before the video is released; though it is possible for the same company to bag the two products, but you must ensure that the product being advertised is the only one in sight…. my advise. 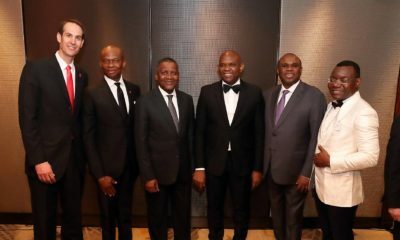 una no dey read ni?they said he is doing advert for bank of industry CAP fund. Nigerians have no chill. Choi! In production, there are different stages involve in production and different companies too. 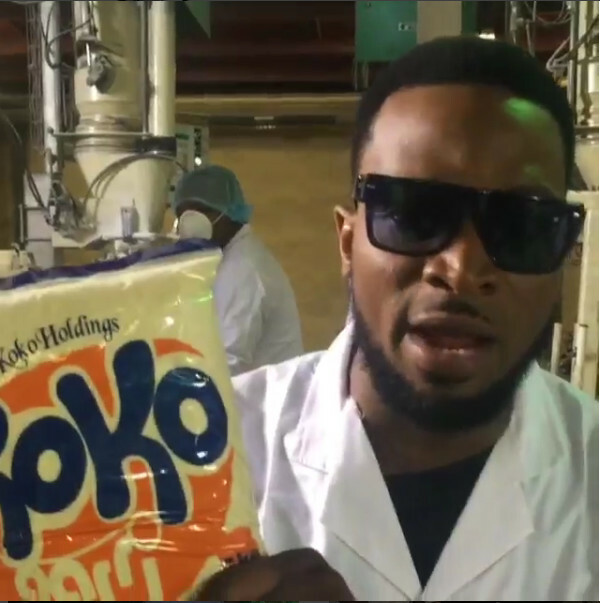 You maybe producting sugar but other company Wld provide the packaging for your products, and For the record He’s involved in two promotions, one for Koko garri and the other for BOI. Don’t let the hate kill you!!! why am i seeing honey well every where???? why!!! 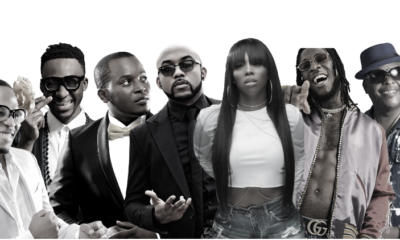 Long life dbanj and may jah bless your business… everyone wishing you bad shall dance to it IN…. I enjoy that koko garri gan ooo… keskose!! !